Core courses enable students to develop a global, holistic understanding of how business disciplines are integrated at a strategic level. Programme concentrations in Data Analytics, HR Management, and Logistics & Supply Chain Management enable students to acquire skills and expertise in areas that are increasingly important to business success. As more organizations view their employees as key assets, there is a growing demand for HR to operate at a strategic level. Strategic HR professionals create corporate cultures where employees feel valued, enabled and empowered. HR can, therefore, enhance productivity, and assist in developing the competitive advantage of the firm. Students pursuing an MBA with a concentration in Human Resources Management complete specialized courses in the design and management of employee recruitment, compensation, and training and development programs. Additional coursework on the topic of HR systems and workforce metrics support students in developing their analytical and strategic decision-making skills. Graduates will be equipped with the expertise required to effectively attract, develop and retain the best employees for their organizations. As executives continue to realize the positive impact that an efficient supply chain can have on a company’s bottom line, demand is increasing for mid-to-senior level professionals. According to a recent article published by Supply & Demand Chain Executive, “Demand-to-supply ratio of jobs to qualified individuals is currently six to one. Most of the openings exist in middle management positions, in which there is a current shortage of 54 percent”. MBA students specializing in this concentration develop a strategic understanding of the logistics and supply chain management lifecycle. Case studies and coursework in warehousing and inventory management, transportation and distribution networks, and logistics information management systems equip students with the practical knowledge and skills needed to advance their careers in this dynamic field. According to a report published by Burning Glass Technologies, demand for professionals in this field is projected to grow by 15% over the next five years in the U.S., which translates to nearly 364,000 new job postings expected nationally by 2020. 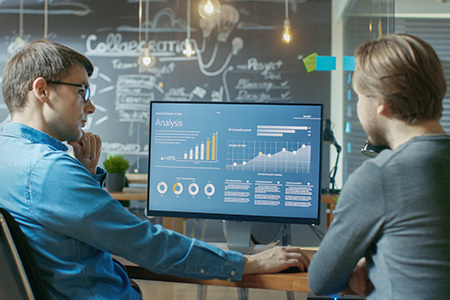 Students pursuing a KWU MBA concentration in Data Analytics will learn new approaches and techniques to effectively manage organizational data. Developing practical skills related to data mining, modelling and visualization will prepare MBA program participants for successful careers in this exciting profession. International students who have completed two trimesters of study at KWU will have the opportunity to apply for participation in a U.S. based internship program. Interested students should contact the Admissions team at least four months in advance of the date they would like to begin their internship. Internship applicants must be in good academic standing and have no outstanding financial obligations with KWU. The location and duration of such programs may vary depending on the student's interest, their academic standing, and prior work experience. Additional expenses associated with participating in the internship program are not included in KWU tuition rates. Visa support is provided for qualified students by an external party. Individuals seeking admission to KWU’s MBA program must have completed a Bachelor’s Degree with a minimum GPA of 2.5. Additionally, applicants must have a minimum of 2 years of professional work experience.